New York based Tibetan contemporary artist Tenzing Rigdol smuggled 20 tonnes of soil from his homeland so fellow Tibetan exiles could once again set foot in their motherland. This documentary, showing at key cities only, follows him. Screening details, so far only for London, are here. 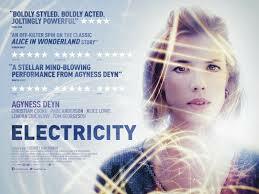 Agyness Deyn’s epilepsy brings on scary hallucinations, distortions and auras but help her find her long lost younger brother in this interesting drama. 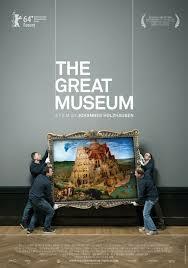 It will be good to see how director Bryn Higgins and his technical team have delivered the visuals. The official Soda Pictures web page is here, including cinema listings across the UK. One of a clutch of final films from the late Robin Williams, he has a supporting role in this romantic drama about widowed Annette Bening finding love again with a man (Ed Harris) who looks and acts exactly like her late husband. The official Signature Entertainment webpage is here; catch it at key cities only. Director Johannes Holzhausen and his team spent more than two years at the Kunsthistorisches Museum in Vienna, observing the various processes involved in creating a perfect setting for art. The official website is here, it will be playing at key cities only, so use Find Any Film for the cinema nearest you. This thriller tells the true story of the complex relationship between the son of a Hamas leader and the Israeli secret service agent who recruits him as an informant, giving insight into the world of counter-espionage and an unlikely friendship. The official Artificial Eye webpage is here and you can use Find Any Film to see which cinema near you will be screening it. The end is nigh, it seems, as the final part of Peter Jackson’s mammoth Tolkein adaptation hurtles toward every silver screen up and down the land. Five armies unite and go to war after the wholly evil Lord Sauron unleashes a stealth Orc army attack upon The Lonely Mountain. Or something along those lines. The official website has tons of fun stuff on it to amuse you before you join the hordes queuing up to see the main event. This claustrophobic (or acrophobic if you look out of the window) documentary follows pilgrims in Tibet, as they travel by cable car to worship at Manakamana Temple. The official Dogwoof productions webpage includes information about screenings. Based on the book by Naomi Oreskes and Erik M. Conway, this documentary looks at how a small number of scientists cloud public opinion of certain key health and environmental issues, such as the effects of cigarette smoke and global warming, to push a different agenda. The official Sony Pictures webpage has little information on it so check out the Facebook page. Animated fairy-tale about a little orphaned girl who must defeat the evil Snow Queen who has taken over the kingdom and kidnapped her brother. The official webpage is here and it will be playing across the UK, but not at all cinemas so check out Find Any Film for the one nearest to you. Period drama set in Japan in which a newly married woman, who is an excellent cook, teaches her husband, who is useless in the kitchen, to make great food. No official website, but IMDb has the low-down. 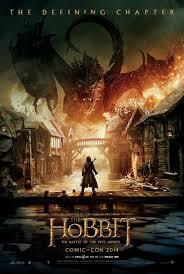 Showing at selected cinemas only. 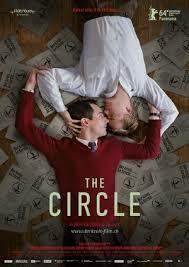 German gay romance, about two men who fall in love when they become members of ‘The Circle’, the forerunner of all other gay support/emancipation organisations. The official website has all of the usual stuff you need including trailer, gallery, history behind the film and it will be playing at key cities only. The enduringly popular Peter Pan character in another solo cinematic outing (incredibly, her seventh since 2008), as she goes on a journey after befriending a strange creature. The official Disney webpage has more detail on it, check Find Any Film for where you and the kids can catch it. Old-timers including Ian Ogilvey and The Bill’s Christopher Ellison abound in this East End, gangster out for revenge thriller after Ogilvey’s brother Steven Berkoff is beaten to death by some teenage hoodies. Check out the trailer on the Anchor Bay website, this will be showing at key cities only.